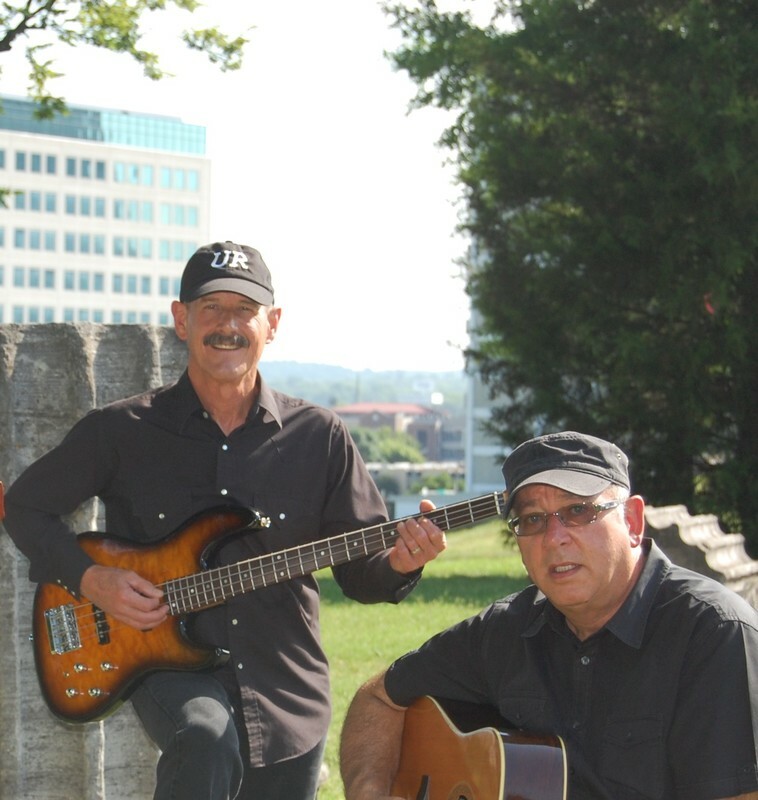 In 2013, Nashville natives Carl Campbell and Jim Major discovered remnants of their lost rock and roll band City, prolific in the Southeastern U. S. some thirty years ago. Based in “Music City”, the band was thought to be extinct, the members scattered and the music silent. Founding City member Phil Bennett (current guitarist of the accomplished band The Rock Ness Monsters) had a chance encounter with Carl and the two reminisced about the life and times of City. Phil had maintained contact with lead singer Jim and suggested a re-union to explore the remains of the culture that had been. The three found City lead guitarist Jimmy Bell and all four of the original City members got together to jam and re-live memories evoked as they mined their musical past. Once excavated, the heartbeat of live music was indeed still strong! 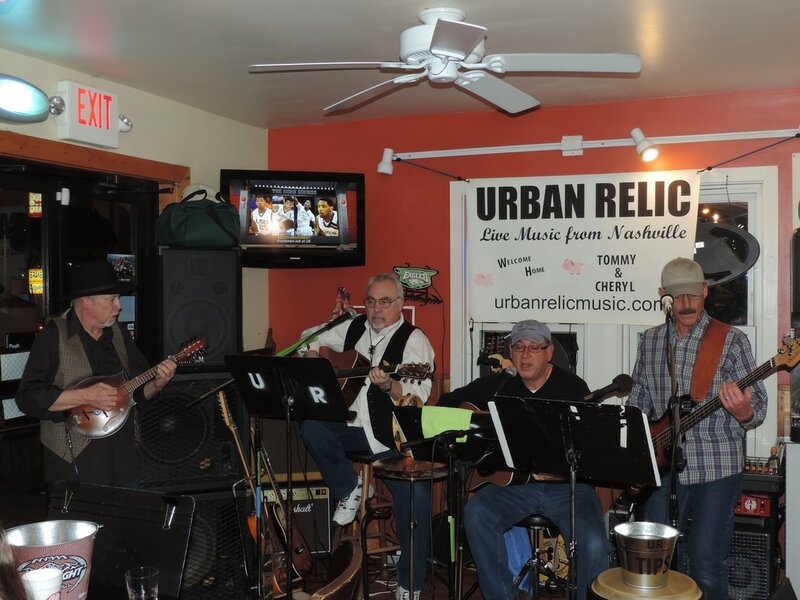 The desire, the time, the opportunity to play as well as the City DNA were there so … Urban Relic was formed and has been playing around Nashville while once again “livin’ the dream”. Carl and Jim thank you for visiting our site, thank you for listening and thank you for your loyal support over the past five years! We are blessed to have so many wonderful people around us. Thanks to the many venues we have been privileged to play. We look forward to seeing you soon! Jim Major: Vocals: guitar: percussion: harmonica. Carl Campbell: Vocals; Bass, twelve string, six string and slide Guitars; Mandolin, Keyboards. Equipment credits: Rickenbacker,Fender, Martin, Epiphone, Harmony,Marshall, Carvin, Peavey, Alesis, Digitech, Behringer, Roland, Proline, Shure, Atlas, Zoom, Yamaha, Casio CTK-811 EX; Sequential (610 synth. ); Tascam- THANK YOU! Audio tracks on site: Live stage mix from the board. Video clips on site: Live.